What does it take to be a Successful Career Counsellor? Let’s start from the basics… What is Career Counselling? Career Counselling is a lifelong process which has different aspects to it. Career Counselling is more than just deciding a major or choosing a career path. conduct special counselling session for 10th & 12th graders. Therefore, Schools, Students, and Parents need Career Counsellors. Who can become a Career Counsellor? If you have the desire to drive students towards a successful career path, you can become a career counsellor. How can you become a Successful Career Counsellor? There is one Counsellor against 3000 Students, this is definitely an alarm towards the need for Career Counsellor’s today. The Global Career Counsellor Certification Course by UCLA Extension and Univariety is an all-in-one-guide to career counselling in the K-12 industry. Our tie-ups with leading universities, college, and schools in India and abroad act as sources and resources for various career options. 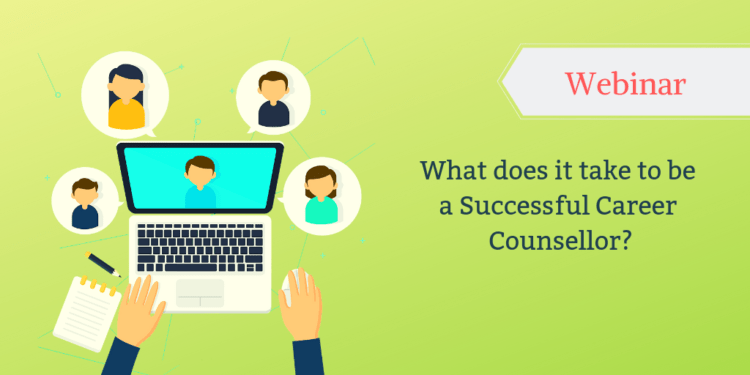 Watch this webinar by Mr. Tarun Sharma, National Head – Global Career Counsellor speak in detail about ‘what does it take to be a successful career counsellor?’.